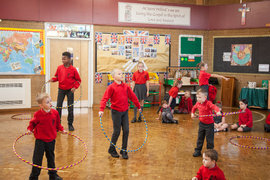 We provide after school care for children aged 3 –11 years old based at St Wilfrid’s Primary School. We are committed to providing quality childcare in a rich and stimulating environment where children will feel safe and secure in order that they can develop and grow. We offer a range of planned activities that appeal to children of various age ranges. 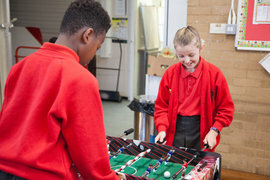 Where possible, we plan extra-curricular activities with help from outside organisations. The Staff and Management team are fully committed to providing the best possible care for your children at all times. All the staff have relevant clearance and NVQ qualifications appropriate to their role. They are encouraged to attend incremental training relevant to their position. The Management team is committed to developing the club as a service to the local community.